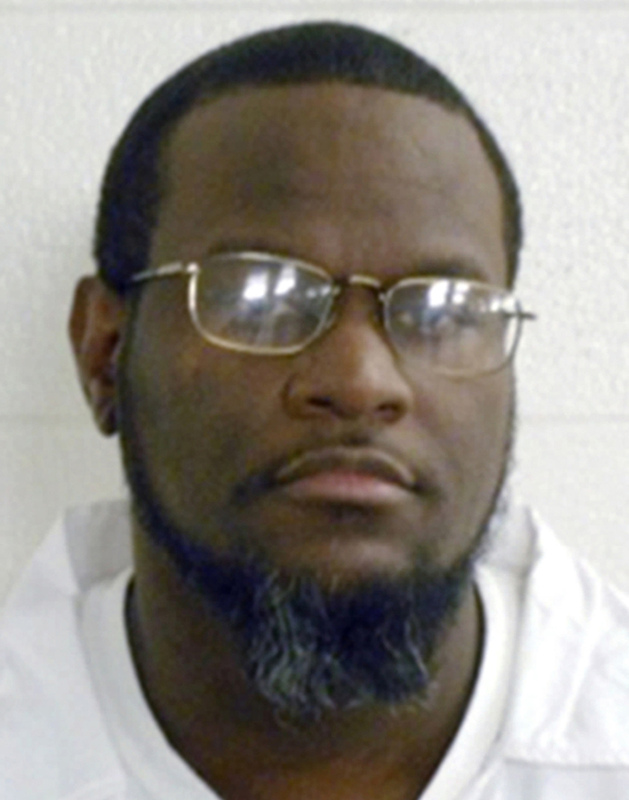 Arkansas To Carry Out Its Final Execution In 8 Days : The Two-Way Lawyers for convicted murderer Kenneth Williams unsuccessfully sought stays from courts including the U.S. Supreme Court. Williams is the fourth and final inmate to die in Arkansas this month. Arkansas death-row inmate Kenneth Williams is scheduled to be executed on Thursday. Arkansas is scheduled to execute convicted murderer Kenneth William tonight, who has been on death row since 2000. Williams is set to be the fourth and final inmate executed there this month, after the state initially scheduled eight condemned inmates to die over 11 days — the fastest pace of executions in decades. The state justifies its aggressive schedule by saying that one of the drugs used in lethal injections, midazolam, expires at the end of April. It says it will have trouble finding a new supply. But critics have characterized the packed schedule as reckless and error-prone. And hours before Williams' scheduled execution, lawyers for death-row inmate continue to try to stop it in court. A filing this morning at the Circuit Court of Pulaski County said Williams had medical conditions such as "sickle cell trait, Lupus, and organic brain damage" that make complications more likely during an execution by lethal injection. Previous legal challenges to Williams' execution, including one that alleged he was intellectually disabled, have not succeeded in other courts, The Associated Press reported. The news service added that "it will take a court order to prevent his execution at 7 p.m."
Williams, 38, was "serving a life sentence for the 1998 murder of a college student when he escaped from prison and killed a local farmer, for which he was sentenced to death," member station KUAR's Chris Hickey tells our Newscast unit. "All of his crimes were described as random with money as the motive," according to local broadcaster Fox 16. The station added that he was moved to the Cummins unit Wednesday in preparation for the execution. "Of the four executions scheduled prior to Monday, three were ultimately stayed. One man, Ledell Lee, was killed last week, just four minutes before his death warrant was set to expire; it was the first execution Arkansas carried out in 12 years." Arkansas Gov. Asa Hutchinson has pressed for the fast pace of executions and said that they are a way to bring justice for the families of the victims.